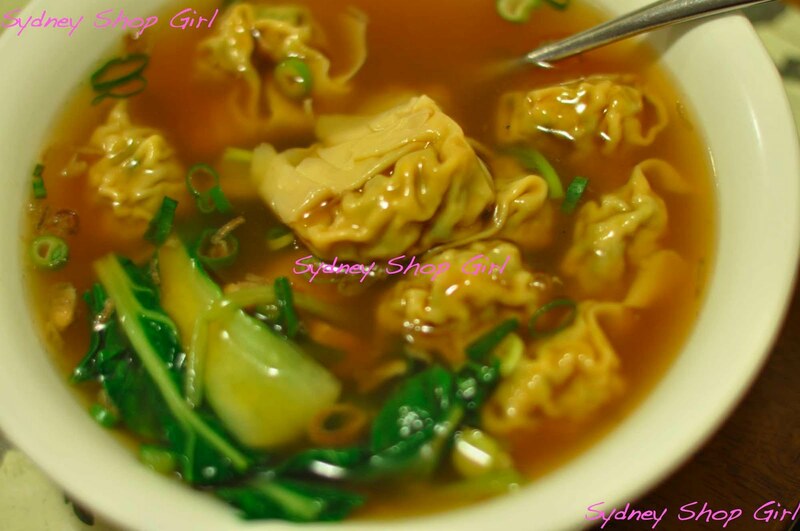 Sydney Shop Girl: Short and Soup. It's just been one of those days where I really, really appreciate having a great Chinese takeaway 10 minutes up the road that does home delivery and is generous with the complimentary prawn crackers. I've got a tummy full of wonton and vegetable soup and I am feeling all the better for it. I think it's Chinese Penicillin the way that chicken soup is Jewish Penicillin. Pleasant night, all. May we all bounce out of bed Thursday morning full of energy! I had a great Chinese takeaway when I lived in Newtown - wish we had a local where we live now. I want to get a Kindle too - do you love it? Recharge after the early night SSG! We ordered a kindle in the last couple of days and can't wait to get it! Dhal in our household tonight, but similar affect to the soup! I swear by Pho when I'm sick, have a hangover, feel blue. It's got magical healing powers - I swear! Ooh, yum! Love wonton soup! Even I love it, and am of Chinese heritage, I must admit I'm for the 'Jewish penicillin'. Made myself a huge pot of chicken soup ('canja de galinha' in Brazil) last night...I could live on that stuff! I think my pencillin soup is the soup that comes with Hainanese chicken rice! MissPiggy: love, love, love my Kindle. Sean: you will wonder how you lived without a Kindle. M: will give Pho a try next time. Brigs: your soup sounds lovely. maxabella: thank you, feeling much better today. Love Chinese soups. So nutritious, filling and warming. And such a sucker for dumplings too. And prawn crackers. Hmmm. I have the Lincoln Lawyer on my Kindle too but I keep reading chick lit instead. My new favourite authors are Sarra Manning and Kate Johnson. The Untied Kingdom was fab. itsanaddiction: so glad it got to you safely! Over to your blog now. Kitty: thanks for the author suggestions. Will check them out tonight. You just can't beat a delicious soup for comfort food. My sister has just returned from 7 weeks travelling around Europe eating all sorts of amazing things. So what has she requested Mum make for our regular Thursday night family dinner - vege soup!